Submitted by mark on Sunday, May 21st, 2017 at 5:10 pm. 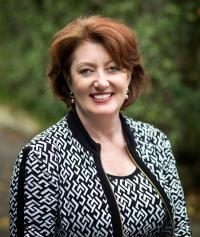 Arts, Culture and Heritage Minister Maggie Barry has announced the appointment of four new members to the Heritage New Zealand Board and to the Māori Heritage Council. “The new members of the Heritage New Zealand Pouhere Taonga Board are Bryce Barnett, Chris Cochran, Kim Ngārimu and David Nicoll and the new members of the Māori Heritage Council are Chris Cochran, Rebecca (Liz) Mellish and Paul White,” Ms Barry says. Minister Barry also announced the reappointment of four members to each organisation. Heritage New Zealand’s responsibilities include protecting archaeological sites, identifying and recording heritage places and managing a portfolio of heritage properties. The Māori Heritage Council’s responsibilities include listing Māori sacred sites and historic places of particular interest to Māori. Rt Hon Wyatt Creech is the Chair of Heritage New Zealand Board. He is a former Deputy Prime Minister of New Zealand (1998–1999). Mr Creech was a cabinet minister for nine years and held a wide range of portfolios including Health, Education, Employment, Revenue and Deputy Finance. He served as an MP for 14 years, remains a Privy Councillor and has been awarded the Companion of the New Zealand Order of Merit. He was also the Chair of Healthcare of New Zealand Holdings Ltd (HealthCare NZ), and the New Zealand Fire Service Commission. John Clarke (Ngāti Porou and Ngāpuhi) is a conjoint member of the Board and Council, and is the Chair of the Council. He is a former chief executive of the Ministry of Māori Affairs, Race Relations Conciliator and Human Rights Commissioner. He has also been a mediator contracted to the Crown Law Office, the Office of Treaty Settlements, Te Puni Kōkiri and the Ministry of Justice. He was also a member of the former Māori Heritage Council. Sir Pita Sharples (Ngāti Kahungunu) is a conjoint member of the Board and Council. Sir Pita brings a wealth of experience in governance and working with community organisations. He was a Member of Parliament from 2005 to 2014. He served as the Minister of Maori Affairs from 2008 to 2014 and was Co-Leader of the Māori Party from 2003 to 2014. Before entering Parliament, he had a wide- ranging career in education, including as a Visiting Associate Professor and Professor of the International Research Institute for Māori and Indigenous Education at the University of Auckland. He was Chief Executive of the Office of Race Relations from 1981 to 1990. Bryce Barnett, a new member of the Board, is an experienced Chair, CEO and board member with diverse interests covering property, community and philanthropic support. His specialisation and passion is within the property industry, and manages Augusta Capital Ltd with a commercial property portfolio worth $1.6 billion. He is currently restoring a heritage property in Northland and is a Trustee of the National Military Heritage Charitable Trust which runs the Great War Exhibition. He is a trustee of Puke Ariki Development Trust and Chairman of the Taranaki Helicopter Trust. Chris Cochran MNZM, a new member of the Board and Council, is one of New Zealand’s most experienced conservation architects, having worked for the Ministry of Works in an advisory role to Government on heritage buildings and then practised on his own account since 1988. Among the buildings he has worked on are Old St Paul's, Parliament Buildings and Futuna Chapel in Wellington, the Sarjeant Art Gallery in Whanganui, and the Scott and Shackleton huts in the Antarctic. In 2007, he was made a Member of the New Zealand Order of Merit for services to the conservation of historic buildings. Naida Glavish (Ngāti Whatua), a member of the Council, has had an extensive career in Māori health services as a general manager. She has been a senior Te Reo Māori teacher. She lists 19 iwi, government and community organisations that she contributes to as a patron, chairperson, or member. She also represents the Auckland and Waitemataā District Health Boards on the Tāmaki Makaurau Regional Leadership Group for Whānau Ora. She has been a conjoint member of the Board and Council since 2011. Patrick McGarvey (Tūhoe) is a Council member. He is a consultant on Māori issues, tikanga, Te Reo Māori, post settlement governance and the Treaty of Waitangi. He was the project leader in the development of a Tūhoe representation framework for the Tūhoe Trust. He is the Chair of the Te Komiti o Runga Tribal Authority and the Ohotu Marae Te Whānau Pani Hapū. He is a board member of the Tūhoe Trust, Tūhoe Fisheries Charitable Trust and Tāwera Bi-lingual School. Highly knowledgeable in the mechanics of local government and regional councils, he has provided advice to many local government agencies. Rebecca Elizabeth (Liz) Mellish (Te Atiawa, Taranaki, Ngāti Ruanui) is the current Chair of the Palmerston North Maori Reserve Trust (since 2012). A new member of the Council, she has held Trustee roles in the Ngahuru Charitable Trust, Wharewaka o Poneke Charitable Trust and Matiu Island Charitable Trust. Liz is also an adviser to the Lion Foundation, Director of Wharewaka o Poneke Enterprises Limited, member of Ara Tahi (committee of Greater Wellington Regional Council), Chair of the Roopu Tiaki and Chair of the Card Reserve Artificial Surface Trust. Mary Neazor is a Board member. She is the former chief executive of Catholic Schools Board Ltd and has considerable experience with property issues. She is a former director of the Catholic Church Underwriting Agency (CCUA). Kim Ngārimu (Te Aitanga ā Mate, Ngāti Porou) is a Council member and a new Board member. She was the Chair of the Officials Committee that supported the Cabinet Committee on Treaty of Waitangi negotiations. She is the director of consulting company, Tāua Limited, which provides public policy and management advice. She was deputy secretary at Te Puni Kōkiri for seven years and the acting chief executive of the Ministry of Women’s Affairs for six months in 2012. She was recently appointed to the Te Māngai Pāho board. David Nicoll, a new member of the Board, is an Auckland lawyer with experience in governance and fundraising in the heritage and cultural sectors, including being a founding Trustee of the Auckland Museum Foundation. He is also associated with the Melanesian Mission and other Auckland heritage projects. Paul White (Te Rarawa) of Northland, a new member of the Council, has been involved in Māori development for over 25 years and has wide experience in the public sector. He is currently a self-employed management and development consultant. He was the Chief Executive of Ngāi Tahu Development Corporation, regional director for Te Puni Kōkiri in Tai Tokerau, and branch manager for the Housing Corporation in Northland. He is a director of Top Energy Board, Chair of Te Rarawa’s asset holding company, a Te Rarawa representative on Te Hiku o te Ika Leadership Forum, and an elected negotiator for Te Rarawa’s Iwi Research and Development Group, which coordinates and integrates research at an iwi and hapu level.